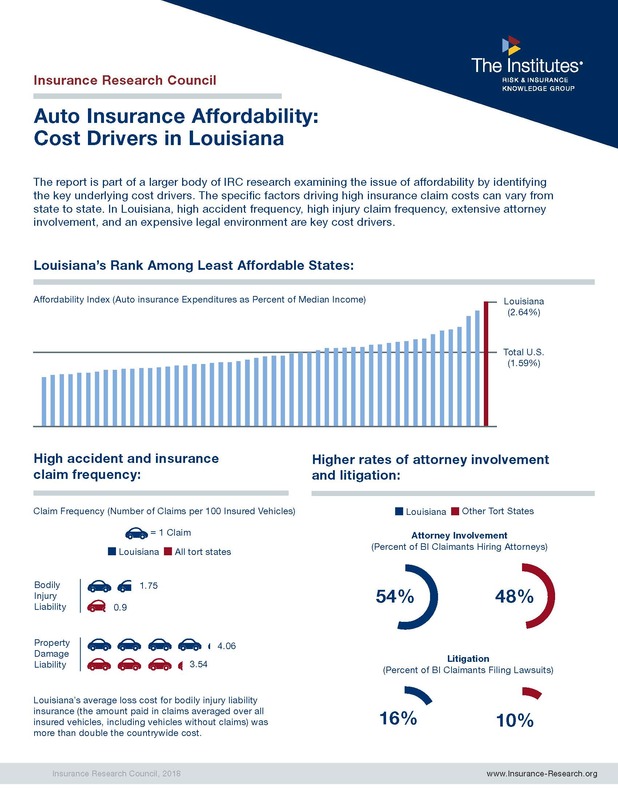 The report combines information from IRC closed-claim research and other sources and is part of IRC’s ongoing research into the factors driving the affordability of auto insurance. This survey report explores the opinions about autonomous vehicles and transportation network companies. 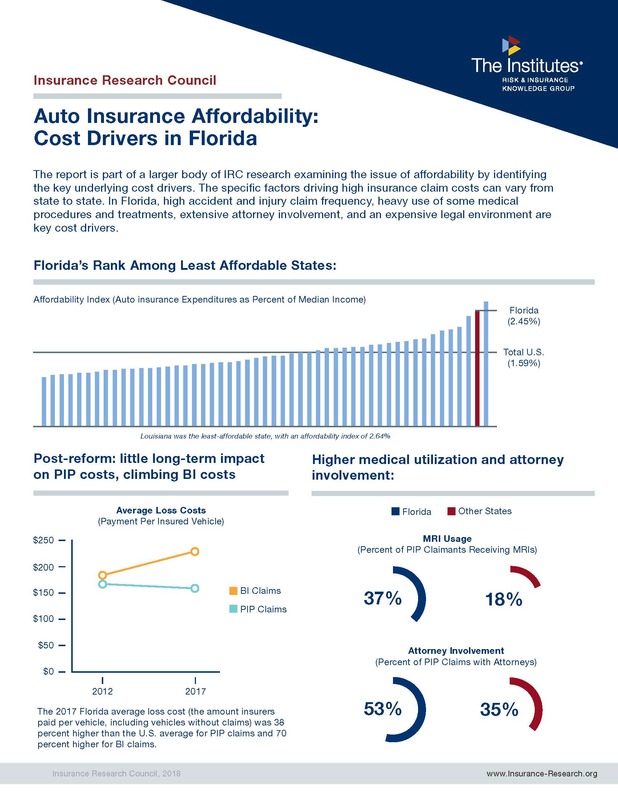 A report updating findings on the impact of Florida’s third-party bad-faith legal environment on BI liability auto insurance claim trends. 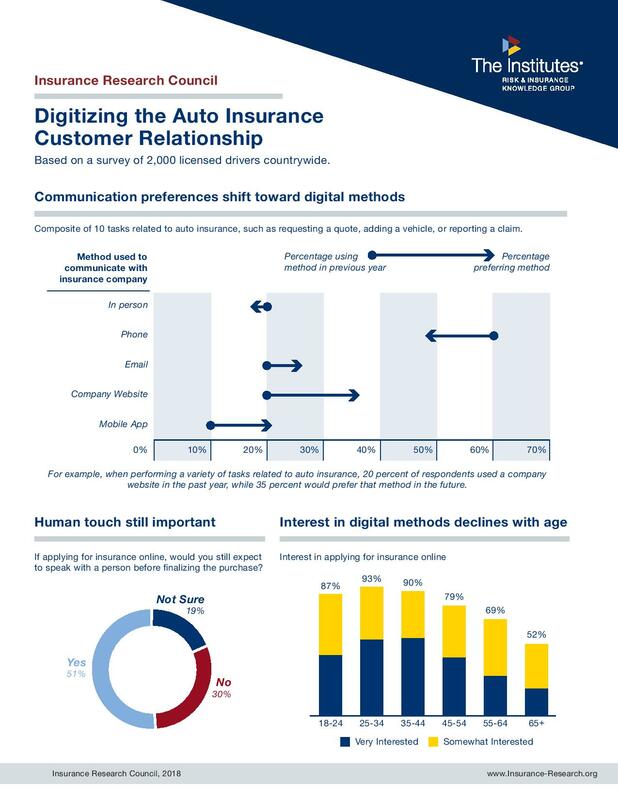 This survey report explores the degree to which auto insurance customers interact with their insurer using digital methods and their preferences for using digital methods in the future. 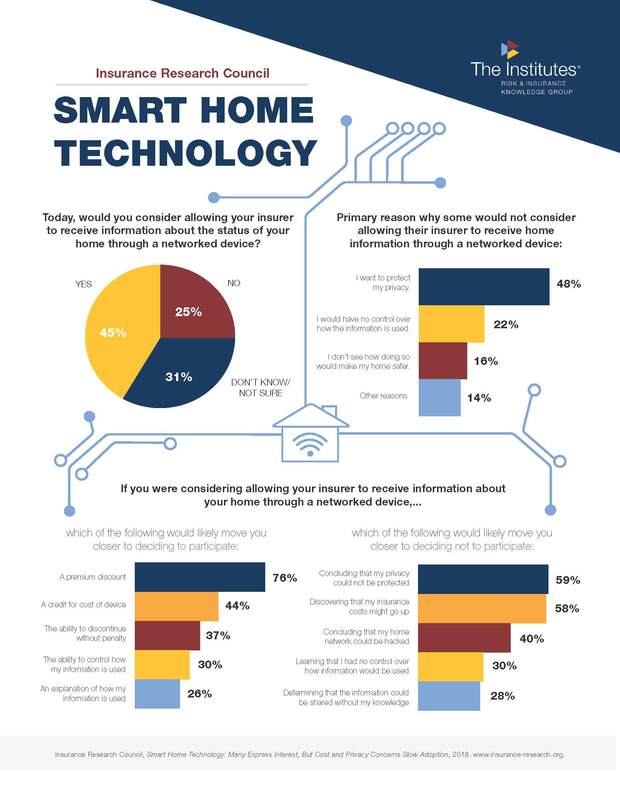 Smart Home Technology: Many Express Interest, but Cost and Privacy Concerns Slow Adoption, This study finds that nearly half of all homeowners and renters countrywide would consider allowing their insurance company to receive information about the status of their home through a smart home device or system. The study also identified attitudes and concerns that discourage some from participating in programs involving insurers. This report examines public understanding of the nature and effects of hurricane deductibles and other special deductibles applicable to storm-related homeowners insurance claims. The study is based on a survey of privately-insured homeowners in five coastal states. Bad-faith lawsuits targeting automobile insurers in Florida impose a heavy burden on the state’s auto insurance system and auto insurance consumers. This report examines the effect that potential bad-faith settlements have on underlying claiming behavior in Florida. 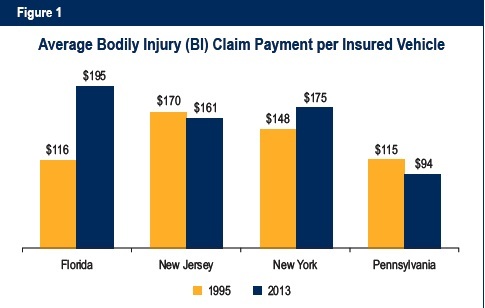 Estimates of additional claim costs attributable to the bad-faith legal environment are included. This report surveys academic experts in risk and insurance on the effectiveness of prior approval and market-oriented rate regulatory policies in automobile insurance. 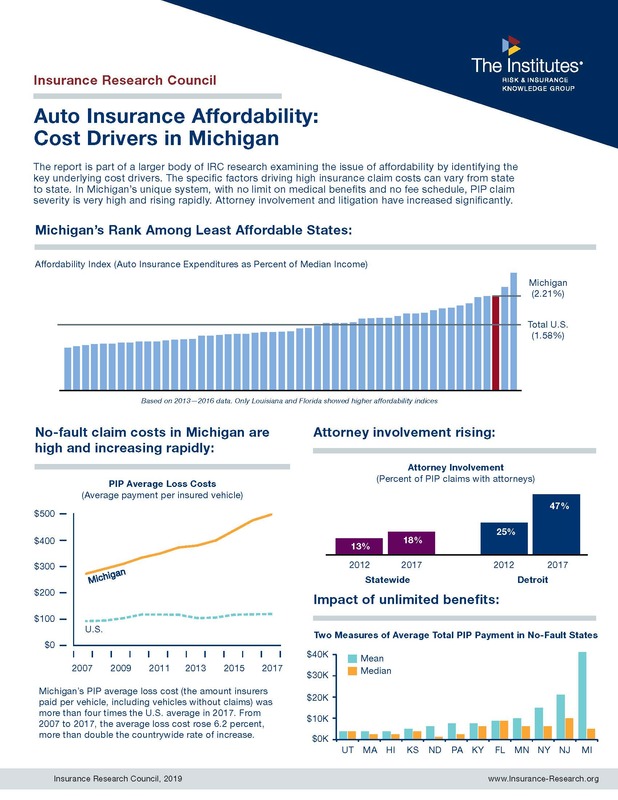 The results show that a vast majority believe the prior-approval regulation of auto insurance rates is unnecessary and does not benefit consumers.